At some point I felt like trying out Java which resulted in this simple applet. I created a MySQL based client-server application with a purpose of imitating a vast world in a MUD-like fashion. Each location had it's unique screen, objects that could be picked up, dropped and moved from place to place etc. Commands between the clients and the server were passed and executed using the RMI mechanism. All players within the game could interact with each other (talk, fight, trade items) and were always aware of each others' presence. 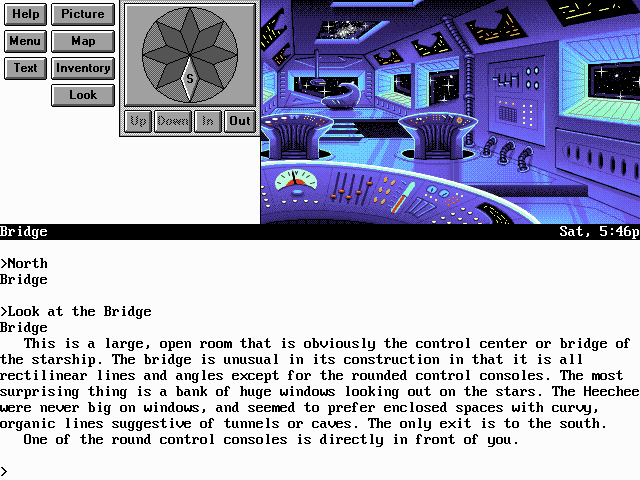 The interface was inspired by an old text adventure game "Gateway". The finished prototype was eventually used in one of the programming courses at my university. The server application requires setting up a MySQL server, so testing it out of the box can be slightly cumbersome.